1 HOUSE CALLS: The American Association of University Women will host its annual home tour from 1-4 p.m. Saturday. The tour will highlight five Boulder City homes and buildings, selected for their historical or architectural significance, including the Boulder City Animal Shelter, where attendees may even run into Santa Claus. The tour features and is hosted at the Boulder Dam Hotel. Inside the hotel’s lobby there will be a silent auction, and the Boulder City Art Guild as well as the Boulder City-Hoover Dam Museum will be open to visitors. Tickets cost $10 and funds raised will benefit local scholarships. For more information, call 702-338-8862. 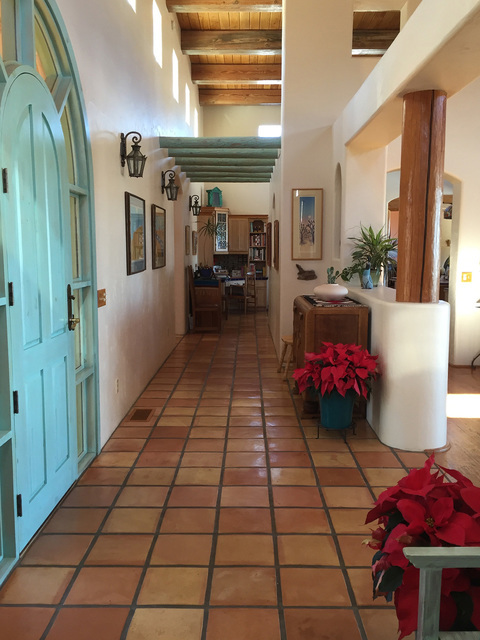 Courtesy photo Featuring the look of an adobe hacienda, this home on the American Association of University Women's 41st annual Home Tour incorporates reclaimed lumber for the beams. The tour is scheduled from 1-4 p.m. Saturday. Courtesy photo Los Angeles based alt-rock band Naked Walrus will play a free, all-ages show at 8 p.m. Saturday at the Boulder Dam Brewing Co., 453 Nevada Way. 2 CHILLED BY THE GLASS: The Best Dam Wine Walk will return for its December installment from 4-8 p.m. Saturday. Check in at the Boulder City Chamber of Commerce, 465 Nevada Way, and pick up a wine glass and bingo card before 6:30 p.m., then explore the historic downtown area, visit local businesses and try sample a variety of wines. Tickets are $25 per person or $45 for couples. To learn more, visit http://bit.ly/2g3YNE3. There also is a $105 hotel stay package that includes two tickets, overnight lodging and shuttle service to and from Hoover Dam Lodge. For more information, call 702-293-5000. 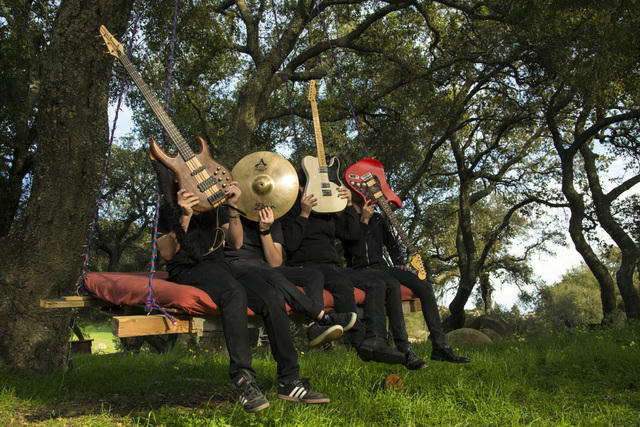 3 ALT-ROCK WALRUS: Naked Walrus will perform at Boulder Dam Brewing Co. on Saturday evening. The Los Angeles-based alt-rock band is a creative project showcasing pure rock ’n’ roll through its music and stage performance. Live shows strive to deliver a straightforward jolt of energy coupled with infectious melodies and memorable licks. Music begins at 8 p.m. The Brewpub is at 453 Nevada Way. Call 702-243-2739 or visit http://www.nakedwalrus.com/ for more information.